With her silky voice and smooth jazzy style, this enchanting vocalist is the right choice of entertainment for any event! She is considered to be the Norah Jones and Diana Krall of the IE. Along with her friendly personality and classy presence, Renee easily creates the perfect ensemble to fit your needs and your budget. 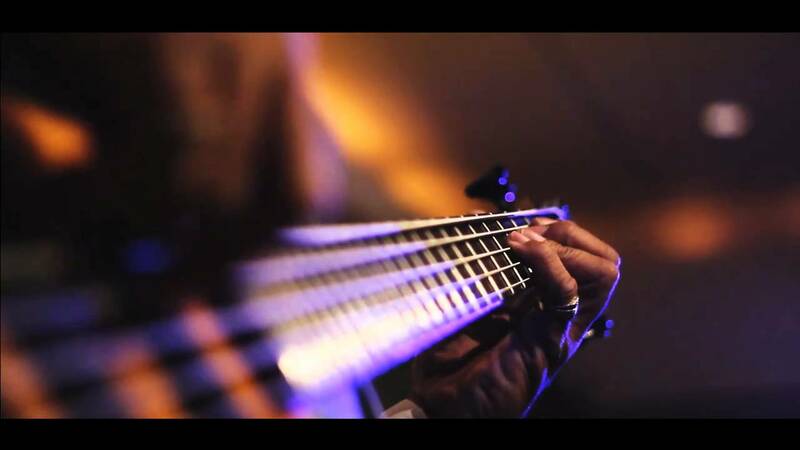 From an acoustic duo to an 8 piece party band, you will enjoy an unforgettable evening of entertainment! Her talented and highly experienced musicians have performed with such artists as Etta James, Gladys Knight, Prince, Pink, Stevie Wonder and Earth, Wind and Fire, etc. Contact Renee today to reserve your date! Renee arrived a little early from a previous event. Her voice is excellent and she thoroughly engaged the audience. Many of our senors leave right after dinner, but this night because of her talent, hardly anyone left. Her choice of songs were right on and would recommend engaging her for your events. Renee was such a pleasure to work with, she was incredibly organized and responsive throughout the planning stage for our party. This was the first time we had hired a band and she made everything so simple. Then on the day of the event she was on time and worked with us on moving an out door event inside due to inclement weather. Her band members arrived and setup on schedule and their sound was superb. We danced for six hours to the fantastic sounds they produced. Talented musicians and Renee's awesome voice made for an evening that we will remember forever. You can't go wrong with Renee! We had a wonderful time entertaining your guests. Thank you for being such a gracious host and putting on the PARTY OF THE YEAR! "Disco de Mayo" was OFF THE CHAIN! Thank you! Renee and her team are perfect for you wedding, trust me!! Renee and her team are FANTASTIC! I found Renee just a few months before my wedding and wanted her to perform Rat Pack era music at my cocktail hour and I wanted help finding a sax player or violinist to accompany our DJ. From the moment Renee and I first connected by phone I felt so well taken care of. She wanted to hear all about my wedding and my vision and then wanted to do everything she could to help. She put together a fabulous group of musicians for the cocktail hour (pianist, sax, and her on vocals), everyone was blown away by their talent. She also worked everything out with the sax player, Keith, to play with our DJ during dancing time (HE WAS INCREDIBLE!). On top of that she did all the sound for our ceremony. I felt like Renee was family every step of the way, it was like my wedding was her daughter, sister, or best friends wedding. She responded to emails and calls immediately, worked within my budget, and answered all of my questions. I highly recommend her and her team for any and all events!! We hired Renee for our wedding reception. Throughout the planning stages, Renee has been a godsend. She has not only acted as the lead singer, but also as a wedding planner -- offering suggestions, song ideas, and even planning out the night's itinerary! We had 20 kids at our reception and she played songs for them and even lead them in dance moves! The kids loved it! Her voice is lovely and the songs they played appeal to all generations. The only thing we'd change is that hubby and I walked in to the room and she was in the restroom. It was awkward and we had an "after" introduction! Besides that, we highly recommend Renee and would do it again in a heartbeat. Renee Rojanaro is simply an amazing performer! She played my cocktail hour and dinner hour at the Redlands Country Club last July. Her heavenly voice filled the room and adding such sweet ambiance! She knows EVERY song you can think of, just try to stump her! She sings jazz very well, but then again, she does pop too! Honestly, I don't think there is anything that she can't do! I even heard she sings opera. Renee, thank you for sharing your gift with my husband and I on what was one of the most important and beautiful days in our lives! Renee provides a night of 100% entertainment. A charismatic vocalist, a collection of superb songs, combined with an excellent group of jazz musicians, provides for an event full of creativity and heart. You can simply sit back and listen to the soft sounds & sassy lyrics, or jump up and dance. She caters to both reactions. *Classy, Elegant, Professional and FUN! Renee has an extensive song list with a variety of styles including jazz, blues, swing, and dance and specializes in that elegant and nostalgic sound from the 30's and 40's which is perfect for an intimate dinner party or cocktail hour. The volume and sound quality are always perfect and her band can easily shift into more of a lively, dance groove when the guests are ready to party. 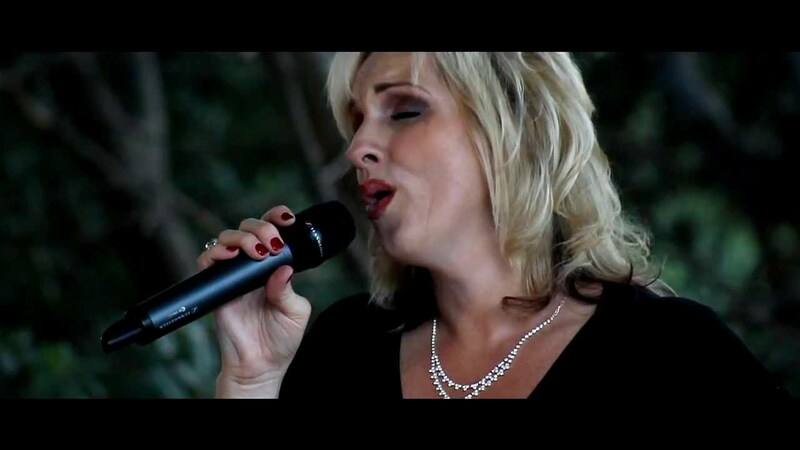 Whether you are looking for an acoustic piano and vocal duo for an intimate party, a 3-5 piece jazz combo for a more lively crowd, or a full party band that will keep your guests dancing all night, Renee Rojanaro will deliver an unforgettable evening of entertainment that you and your guests are sure to enjoy. For more information about Renee, her band and upcoming performances, visit her website at reneerojanaro.com. We come fully self-contained from sound to lights and can service any needs your event requires - big or small. Just ask!